Price: Introductory price is $129. No discounts apply. 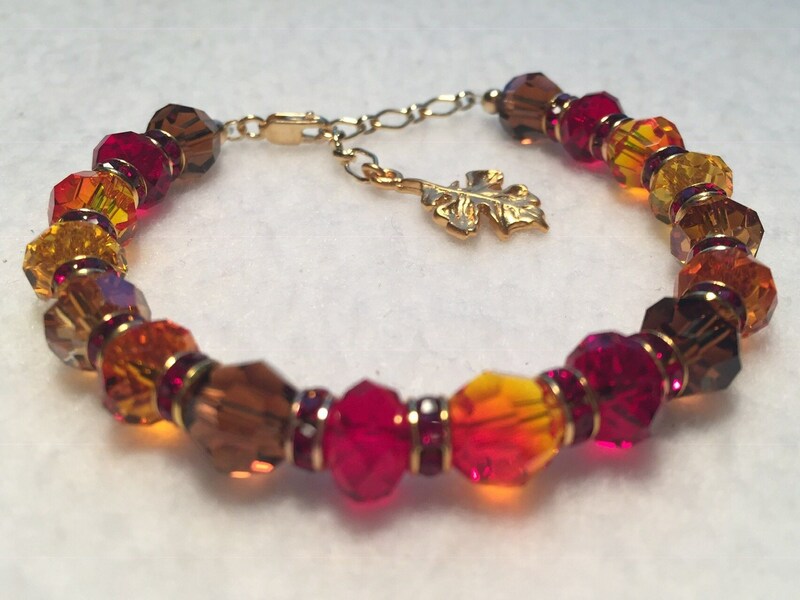 This bracelet has been charged with the angel, element, direction, and energies of Autumn, and to adapt to your individual needs. It will continuously receive and transmit unlimited sacred energy. The energy will never "wear out," and the crystals will not absorb any negative energy, so it never needs to be cleared. If at any time in your journey, you sense or become aware that you are not experiencing all that is possible, you can choose in that moment to release the doubt, fears or blockages and allow yourself to receive. You are worthy! COLOR: Siam, Tangerine, Sunflower, Smoked Topaz, Fire Opal and Crystal Copper with 14k Gold Filled clasp and chain. Oak Leaf charm is vermeil style (heavy 24k plating layered over sterling silver.) 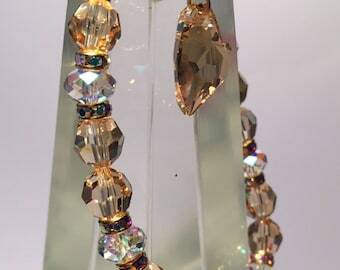 Swarovski crystal spacer beads are gold plated.